My "thing" has always been organization (especially before having kids). Diagnosed with OCD (obsessive compulsive disorder), I feel the need to put everything in a specific place in a specific order. I am especially particular about my kitchen spaces. After working in restaurants for over a decade, my kitchen is my place of zen. 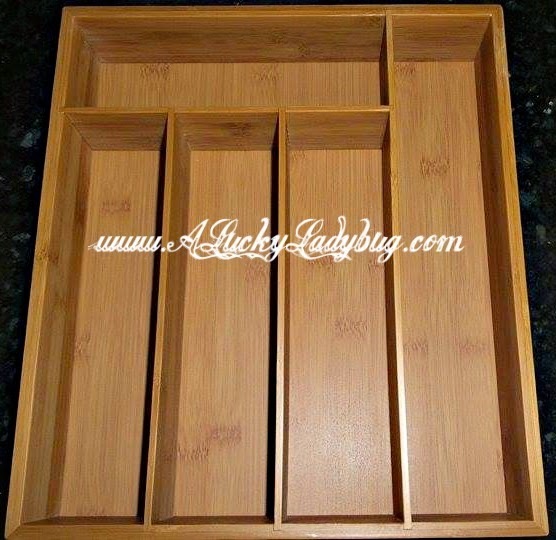 So when asked to review the KD Organizers™ 5-Slot Bamboo Drawer Organizer from Lake House Products LLC, needless to say I was in! Again, because I feel like everything should have a place, I life for organizers of any sort that will keep my kiddos in line when sifting through the drawers and closets. The problem is most organizers are cheap dollar store quality which barely fit in the drawers, they shift around, and hold very little. 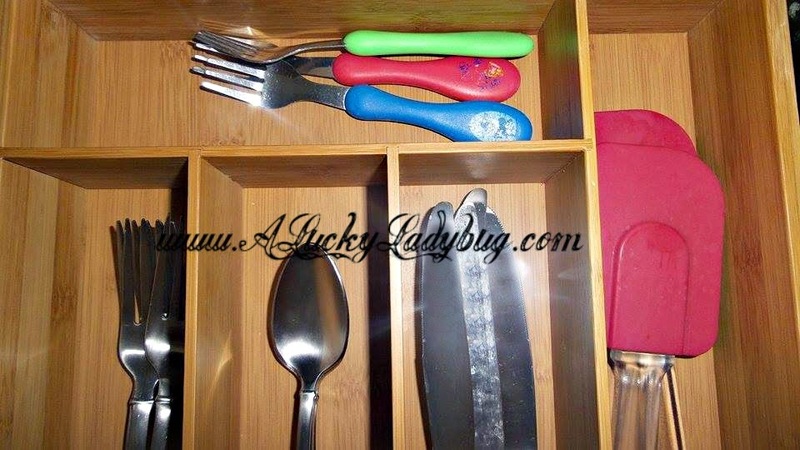 And if your anything like me, you have more kitchen utensils than you know what to do with! Right away, this was gorgeous coming straight out of the box. 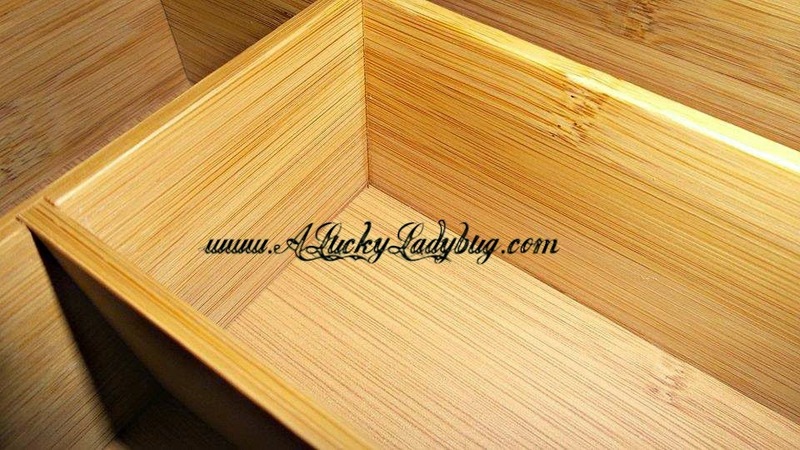 Made from eco-friendly, sustainable bamboo, the organizer had a beautiful, natural style. It even felt like a thick or strong wood as well and while wood grain can be unpredictable in pattern, this seemed as if each piece was picked to match the other. This fit perfect in my cooking utensil drawer right next to the stove and actually doesn't shift a bit. I love that the compartments are deep so they hold more without spilling when opening/shutting the drawers. Recommendation: Maybe a little pricy for a single organizer but the price is well worth it because this is going to last for a long time. I'd like to see it a bit more affordable to buy several of them to match in the kitchen (maybe a package discount). I love this organizer! I have a cluttered kitchen and I am ALWAYS looking for organizational tips!